Situated in the picturesque village of Leenaun, the Portfinn Lodge Guesthouse and Fjord Restaurant offers views of the Maumturks Mountains. 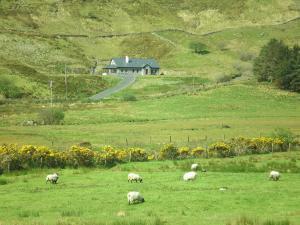 The house is on the southern shore of Killary Harbour, in the heart of Connemara. 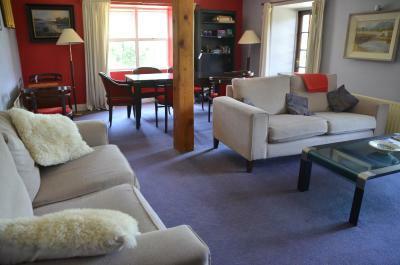 The Portfinn Lodge is set in landscaped gardens with free Wi-Fi in the relaxing guest lounge. 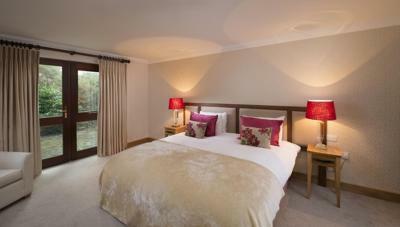 The en suite rooms boast views of the sea or mountains. In the mornings, the Portfinn serves a full Irish breakfast. The Fjord Restaurant serves a carefully chosen wine list to complement the seasonal evening menu. The dishes are freshly prepared using local ingredients. Located within a valley between Devilsmother and Munterowen West Mountains, Leenaun offers views of Ben Gorm across Ireland's only fjord. The area offers lake and sea fishing, and is ideal for walking and cycling. Activities such as paintball and sea kayaking can be enjoyed at Killary Adventure Centre, a 5-minute drive away. 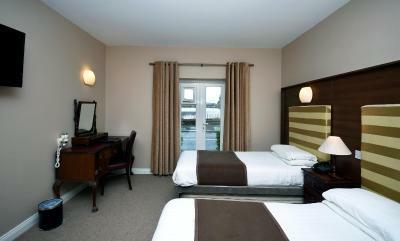 Delphi Resort Hotel and Spa offers 4-star hotel accommodation, with a spa, an adventure centre and two restaurants. 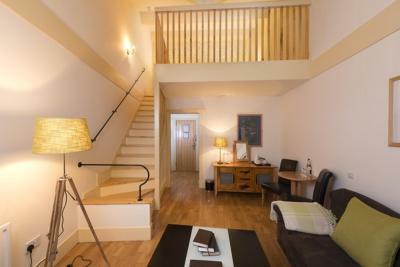 There is free WiFi and some of the sophisticated bedrooms feature a balcony, with beautiful views. Recreational facilities include a steam room, sauna, feature showers, a relaxation area and a 12-jet hydrotherapy pool with mountain views. The Adventure Hub features a range of land and water based activities including kayaking, surfing and coasteering and there are plenty of walks in the 300 acre forests around the resort. 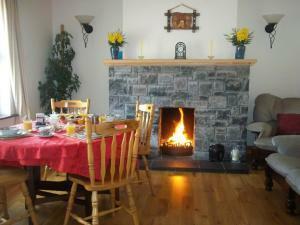 Mountainview BnB offers a beautiful mountain setting in the Maam Valley, 3 km from Killary Fjord. It offers spacious rooms and a patio with lake views. Each spacious room at Mountainview BnB has attractive design and comes with tea and coffee-making facilities, as well as an en suite bathroom. 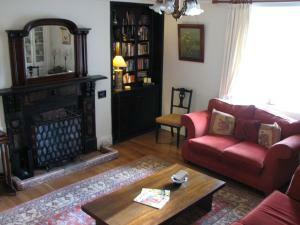 Breakfast is served in a pleasant dining room with a fireplace and there is also a lounge area. The property is 3 km from Delphi Adventure Centre. Heading South, Connemara and the coast are around 15 minutes' drive away. Featuring the best views over the Killary Fjord, The Convent also overlooks Connemara's rugged mountains. Dating back to the 19th century, this family-run property was once occupied by the Mercy order of nuns. 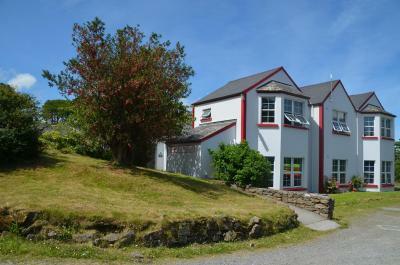 With views over Killary Harbour, the rooms include a work desk and tea and coffee making facilities. The en-suite shower rooms have a hairdryer. 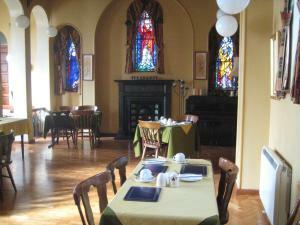 In the mornings, The Convent serves full Irish breakfast in the unique chapel room. Centrally located in the picturesque village of Leenane, The Convent is a 2-minute stroll from local pubs, shops, and facilities. Local activities include hill walking, fishing, and cycling. Guests have use of lockable bike storage, which can also be used to store fishing equipment. Connemara National Park is a 20-minute drive from The Convent. The surrounding area is home to many quality golf courses and the famous Kylemore Abbey, which is just 16 km away. 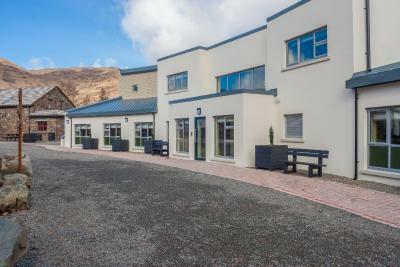 Situated in the centre of Connemara and overlooking the Killary fjord, The Connemara Hostel offers free Wi-Fi, a tennis court and free on-site parking. There is a self-catering kitchen, and outdoor barbecue facilities are also available, as well as a camping area. 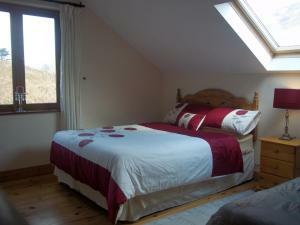 Each room comes with an en suite bathroom, and some offer far-reaching views of the Killary - Ireland's only fjord. 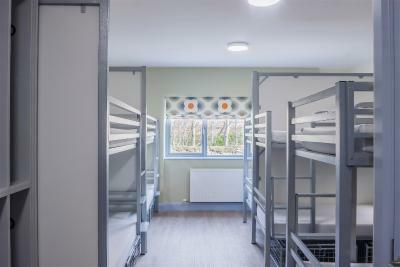 Operated by Galway's highly-regarded Sleepzone Hostel Group, The Connemara Hostel also has a guest lounge with picturesque mountain and sea views, a games room with pool table, and an extensive selection of DVDs and books. 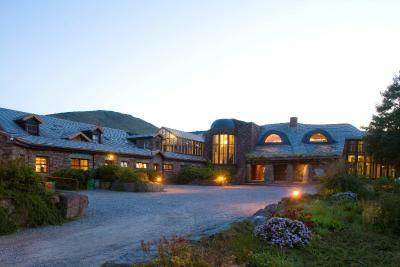 The property is 10-minute drive from Kylemore Abbey and Connemara National Park. 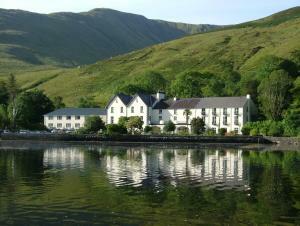 On the shores of Killary Harbour lies Ireland's oldest coaching inn. 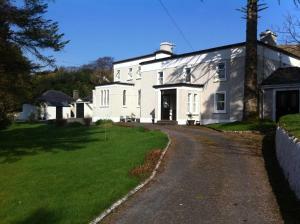 Dating from 1796, you'll find traditional home cooking, antique furniture and the most spectacular views in Ireland. Leenane Hotel is family-run hotel, where fresh seafood from the harbor and vegetables from the hotel garden are used every day. With traditional decor, every room has its own features, with most containing beautiful pieces of original antique furniture. The location of Leenane Hotel makes it an excellent base for exploring Connemara. 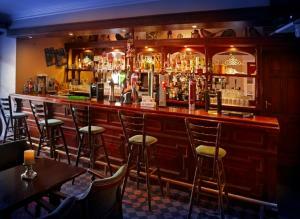 The facilities include a bar, a spacious restaurant and a private resident's lounge. Set on the Dephi Adventure Resort in Leenaun, the Wild Atlantic Hostel offers free WiFi in public areas and a shared lounge. Guests can enjoy access to the resort's facilities, including a restaurant and a spa. The hostel is just 15 minutes' drive from the nearest beach. 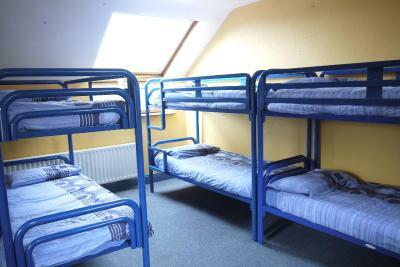 Each dormitory style room offers wardrobe space and features mountain views. 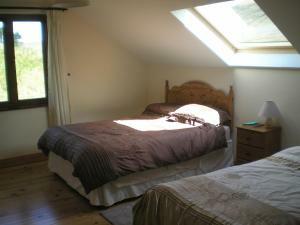 The rooms have access to a private en-suite bathroom. With a 24-hour front desk, the Wild Atlantic Hostel has laundry facilities and a garden. An array of mountain, sea, and forest activities can be booked on site, including cycling, hiking, and snorkelling. Galway is home to spectacular coastline. The Wild Atlantic Way provides stunning views. Home to numerous shops, pubs, and restaurants, Westport is just 35 minutes' drive from the Wild Atlantic Hostel. Free onsite parking is available at the hostel.